Our inflammation fighting Organic Turmeric capsules and recovery promoting Essential Magnesium powder are the perfect combination to ensure our muscles and joints are being looked after. We are currently awaiting our next delivery of Turmeric capsules which is due Thursday the 18th of April. Due to the Easter break this means we will have a very slight delay in dispatch. All orders containing Turmeric Capsules will be dispatched on return of the Easter break on the 23rd of the April. 120 Organic Turmeric Capsules PLUS 200g Essential Magnesium Powder. Both These Products are fabulous. The Turmeric means my husbands arthritis is kept at bay and the magnesium is the only thing I have ever used to stop me getting cramps in my feet. Wouldn’t be without either of them. Thank you for your review. 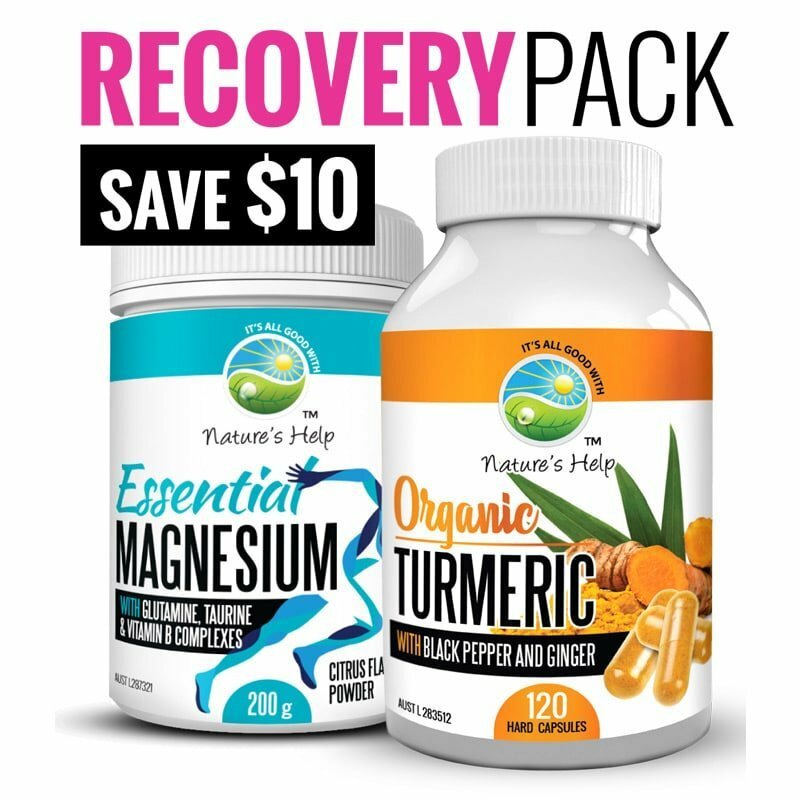 The recovery pack is a very popular combination for both of those reasons. It is important to me when trying to improve my health, that I am dealing with an ethical company and brand. Turmeric Australia is just such a company. With honest communication, no unwanted spam, and an excellent product I highly recommend them. I was sceptical at first (typical Australian male you might say) but, since taking the turmeric regularly my joint pain is greatly reduced, as is my reliance on some pharmaceutical pain medication. Hi Ross, Thank you so much for sharing your experience with our company and we are pleased to hear that your joint pain has been greatly reduced too.